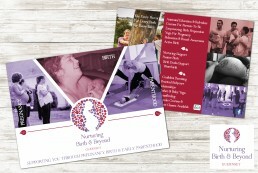 Nurturing Birth & Beyond is a small business that approached me when setting up in 2015. So far I have designed branding and a leaflet, with a website to follow shortly. 2017 update: The website is finished and has gone live!